Calgary Arts Development is pleased to announce our Grant Investment Programs for 2019. As a public agency stewarding public dollars to the benefit of all Calgarians, Calgary Arts Development works to develop grant investment programs that are rigorously assessed, strategically aligned to overall City of Calgary outcomes and most importantly support a vital and vibrant arts sector with artistic and public impact. As outlined in our 2019-2022 Strategic Framework, we have two priorities over the next four years: 1) Fostering a sustainable and resilient arts sector, and 2) Arts-led city building. With the increase to our base funding from The City of Calgary, our program offerings for 2019 will help build a more sustainable and resilient arts sector overall and will bring an increased ability for arts-led city building to occur whereby the arts can contribute in a meaningful way to a renewed vision and identity for Calgary. The Operating Grant Program will remain the largest funding pool for organizations over the next four years as we continue to offer stable, predictable funding to those we currently invest in. We will also ask organizations to think about and articulate potential opportunities created by additional funding through a new sub-program called the OG+ program. The Cornerstone Program, which ran from 2015 to 2018, will be replaced with the new City-Builder Program, which is intended to identify and operationally fund a set of arts organizations that together best represent the diversity of artistic communities and opportunities that make up Calgary, Mohkinstsis. These organizations will be chosen for their authentic dedication and excellence in building community through the arts at a city-scale or macro-community scale, fostering reciprocal collaborations and partnerships both within the arts sector and/or cross-sectorally. 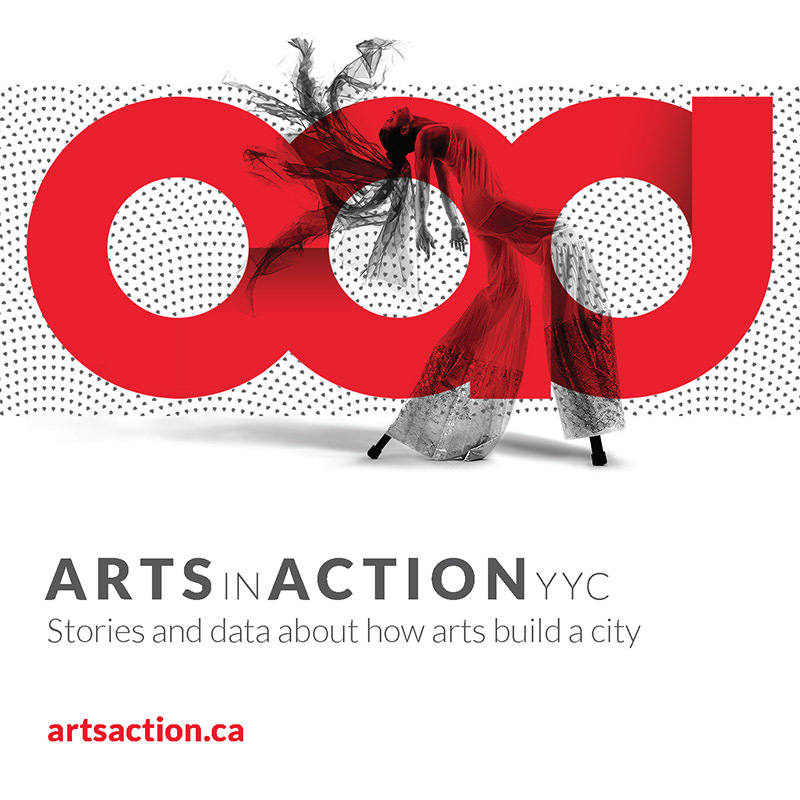 The Organizational Access Program will allow organizations not currently receiving operational funding from Calgary Arts Development to enter the Operating Grant Program and receive operational funds from 2019 to 2022. For more information and details about the Operational Funding Programs, please review the Operational Funding Overview. We believe that operational funding may not be the best way to serve all organizations, and therefore have developed the Project Grants Program – Organizations. This program is intended to support organizations not currently funded through the Operational Funding programs in the creation, development, or dissemination of artistic work, or to provide one-time support to specific projects which will allow organizations to better serve their communities. Please review the Project Grant Program – Organizations Guidelines. Calgary Arts Development believes that investing in individual artists’ practices and projects is fundamental to ensuring the city of Calgary, Mohkinstsis, is home to a vibrant arts community and for Calgarians to have access to meaningful artistic experiences. The Project Grants Program – Individuals and Collectives is intended to support the creation, development, or dissemination of artistic work, or to provide support for one-time professional development or research activities. Please review the Project Grant – Individuals and Collectives Program Guidelines. The Individual Artist Program is intended to provide meaningful support for individual artists’ practices over the duration of a calendar year. Please review the Individual Artist Program Guidelines. Calgary Arts Development is led by values of equity, diversity, and inclusion, and our continuing journey of reconciliation, based on the following three principles—one size fits one, nothing about us without us, and creating a virtuous (not vicious) cycle. The Original Peoples Investment Program (OPIP) will support the preservation and revitalization of First Nation/Métis/Inuit (FNMI) art through arts-based projects and activities. Please review the Original Peoples Investment Program Guidelines. The ArtShare Program is intended to provide equitable access to support for individuals and groups that identify with diverse communities and often experience barriers related to artistic practice. Please contact the Community Investment team for more information about the ArtShare Program. Calgary Arts Development’s grant investment programs are assessed by arms-length committees of artistic peers and community members. Calgary Arts Development optimizes the composition of the Assessment Committee to ensure that it represents a diversity of specializations, artistic practices, backgrounds, and perspectives. Assessors should have an exemplary track record of professional, business or community-minded ethics and a strong commitment to the continued growth and vitality of the arts in Calgary. Assessors are appointed by staff through a public nomination process. Candidates are screened for qualifications in line with program needs, as well as any potential conflicts of interest. As part of our responsibility to Calgarians to ensure equitable access to public funding, Calgary Arts Development is dedicated to addressing and working to eliminate institutional inequity in our programs, policies, and practices. We also acknowledge that our actions—both conscious and unconscious, past and present—have benefited some communities while limiting opportunities and outcomes for others. To participate as an assessor in this program means you share a vision of a city where all artists have the freedom, agency, and platform to share and amplify their stories, art, cultures, and experiences. We ask that all assessors bear this in mind as we share the responsibility of recommending funding and/or support. To nominate an individual or yourself to serve as an assessor on a grant investment program committee, please complete this form. Please contact the Community Investment team at grants@calgaryartsdevelopment.com or 403.476.2031 with any questions about the 2019 Grant Investment Programs.